Gravitate is a Manchester-based company that produces two weight loss supplements. The first one in an appetite suppressant called Supersculpt. The second product is called DietVits and it is intended to be used alongside Supersculpt to provide dieters with the extra support they need to attain the best results in the briefest amount of time. When the two products are used together, alongside a calorie controlled diet and regular exercise, Gravitate claim the capsules will delivery the following results. Claims: To offer users a reduction in food cravings, a boost to the metabolism, fat fat burning and a reduction in fatigue. Negatives: Not many negatives have surfaced. They wanted to create the most effective weight loss supplement they could. They wanted it to be a natural product that would not cause side effects. They wanted it to be simple and easy to take. Whether or not Gravitate are likely to have succeeded in their first ambition is hard to say because there are a number of effective weight loss products on the market, but Gravitate have certainly chosen some good ingredients and their decision to split them between two pills was a wise one because if they had tried to cram all 12 ingredients into a single weight loss pill it would probably have been too large for people to swallow without choking or discomfort. Bearing in mind the fact that many diet pills contain far more ingredients, the previous statement may seem a little strange, but Gravitate have chosen glucomannan to be the main appetite suppressing ingredient. A generous amount of glucomannan needs to be included to provide good results. Dieters who use the Supersculpt product can be sure they will receive this because the pills do not contain any other ingredients. 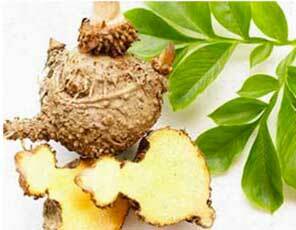 Glucomannan is a fibre extracted from the roots of a plant (konjac). It contains practically no calories and has the ability to soak up large amounts of water. When glucomannan is taken before meals, and swallowed with water, the fibres absorb the water and expand inside the stomach. This leaves less room for food and provides a feeling of satiety that discourages the desire to overeat. The ingredient has proven abilities and many dieters have lost weight by using glucomannan on its own. The other 11 ingredients are housed in the DietVits capsules and, although glucomannan can provide weight loss without the need for other ingredients, Gravitate have chosen a blend of vitamins and minerals that should improve results considerably and help ensure dieters do not become deficient in important nutrients. The four minerals included in the DietVits formulation are calcium, chromium, copper, and zinc. All of them are required for good health, and calcium and chromium can be good for helping people to lose weight. Further information about calcium and weight loss is available at the WebMD website and chromium’s ability to balance blood sugar levels is detailed in an article published by the National Institutes of Health. Zinc is not a weight loss providing ingredient, but it does have the ability to boost testosterone levels and scientific evidence suggests elevated testosterone levels can increase fat burning abilities. The fact that Gravitate have also chosen to add so many B Vitamins to their product is not at all surprising because B Vitamins are necessary for a healthy metabolism. This is important because when the metabolism becomes sluggish it makes it much easier to put on weight and considerably harder to lose it. A faster metabolism is always better for weight loss. Supersculpt Dosage: One to two capsules are required three times each day. The capsules have to be taken (with a large glass of water)15 minutes to 1 hour before breakfast, lunch, and dinner. DietVits Dosage: One capsule is required each day (with water and food) a this can be taken at any time that is convenient. Gravitate offer a 35-day money back guarantee. Gravitate state their products do not cause side effects, but the formulations are unlikely to be suitable for pregnant or nursing mothers. People who have existing health problems are advised to check with their GP before taking diet supplements of any kind or embarking on a new health and fitness/weight loss regimen. The same advice is offered to anyone who is taking medications (prescription or over-the-counter) or planning to use the items in the Gravitate weight loss kits alongside other supplements. 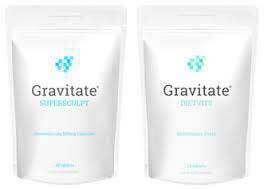 Our evaluation of the ingredients used in the two products suggest Gravitate Supersculpt and Gravitate DietVits should be more than capable of producing the promised weight loss of up to eight pounds in 14 days. Feedback also suggests the Gravitate weight loss system is effective and customers have the added benefit of a money back guarantee. We are happy to recommend Gravitate to all of our readers and believe it is the best weight loss system we have reviewed in a long time. 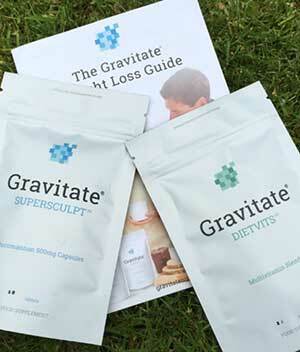 Supersculpt and DietVits are only available from the Gravitate website and, although each of the products can be purchased on a one-off basis, the Gravitate weight loss kits offer the best value and dieters receive a free booklet to help them make the lifestyle changes necessary to get the best out of the products and lose more weight.